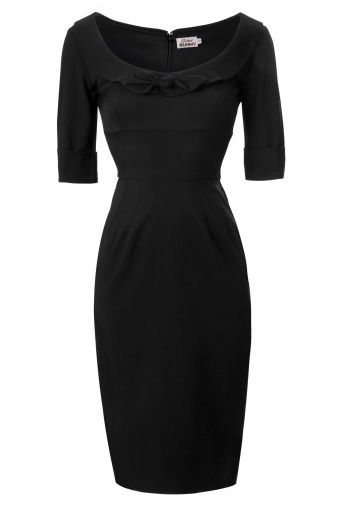 The 60s Joan Madmen dress black from Glamour Bunny. If you ever wanted a Mad Men Dress like Joan, you're in the right place. Singer Zanillya Farrel wore this dress with such an elegance on Dutch TV "De Wereld Draait Door!"